Every year for many years, our family has had a Christmas tradition of giving gifts to Jesus. 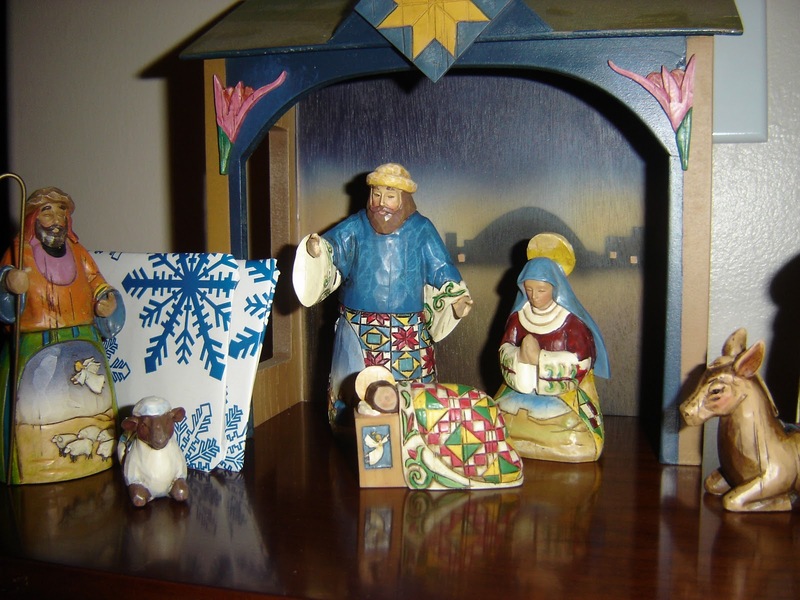 We each write our gifts on a 3 x 5 index card, wrap it in Christmas paper, and put the cards next to our Nativity set. The gifts usually are some acts of service or faith. My wife introduced this to our family when the children were young to help them understand the meaning of the season. And I am so glad she did. When we first started out, we would give our gifts to Jesus on Christmas Eve, and the gift was to be given over the coming year. Now we give our gift early in December, to be done over the month. I am grateful that we have done this as a family now for over 20 years (probably). It helps me get focused on stepping outside of myself, a place I need to spend a lot more time. This year I am giving five specific acts of service. I better stop writing so I can start on my first one! Sounds like my house. We've been doing Gifts To Jesus for over 25 years. Great fun and it really helps the kids focus on the meaning. Next Next post: What Is It that Counts Here?